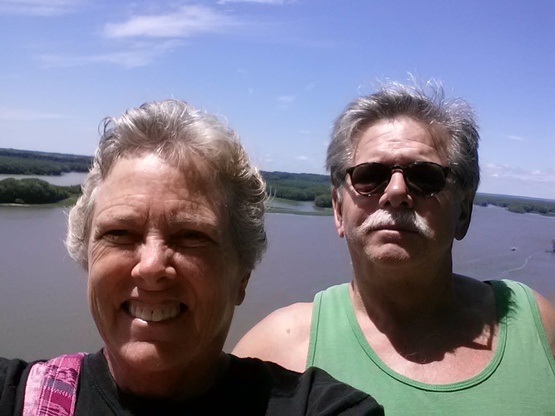 We enjoy the outdoors, bicycling and hiking. Lucy practices Yoga daily. We're in a couples Book Club. We enjoy the Arts and Farmers Markets. Love to travel near water. We're pretty liberal minded, and enjoy meeting new people. We're retired and plan to travel about 6 months each year. 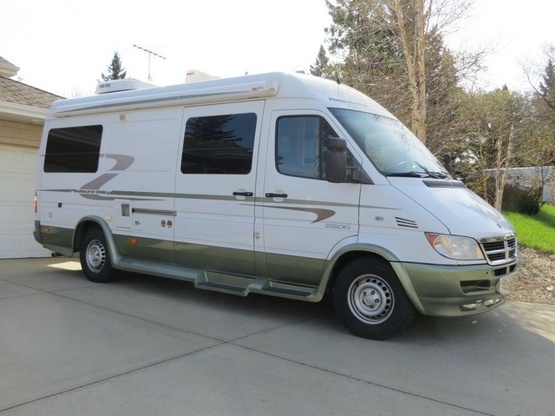 We travel in a 2004 Pleasure Way Plateau, class B Sprinter Van, 25 feet long with bike rack. No slide-outs. We had only signed up to Boondockers Welcome two days before and got a request from lucyandgary. We were, of course, excited to meet them and exchange stories. They were A-one guests and would have them back in a minute. Lucy was a great host we had a great conversation and she gave me some great advice on some cool places to travel to in Northern Ontario. We are so grateful to have met Lucy & we hope to meet her again down the road. Hopefully next time we are in Louiseville we will get more time to look around and she is welcome to come visit us anytime in Ontario! Thanks again, & hope to see you again. 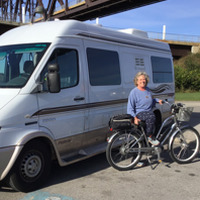 We enjoyed our stay and the encouragement to ride part of the Louisville Loop. Very kind hosts! Thank you for the extra night of rest, I so greatly appreciate your warm hospitality. And Stoup! We spent 2 nights here as we visited some of our old stomping grounds nearby. We came in late and they were soon leaving for a prior commitment, buut they took the time to get us settled in. We sat around the kitchen table for coffee and discussed places we had been and merits of various campers our last morning there, the conversation was so good we realized it was almost noon before we left. Thank you. Sorry we couldn't hook up and meet them; as their plans kept changing. What I can say is that they were very considerate emailing back and forth to keep us informed of their plans and needs. That is a sign of a competent and good dry camping traveler.